In early January I had to make a quick trip to Calgary. 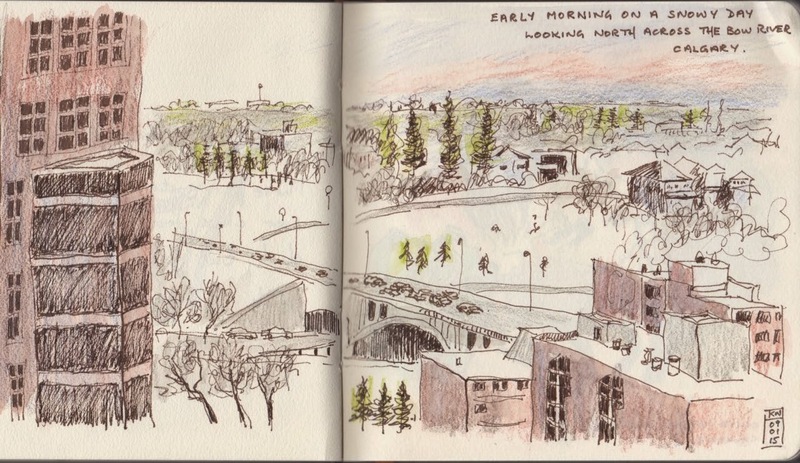 These sketches were done at Edmonton Airport. 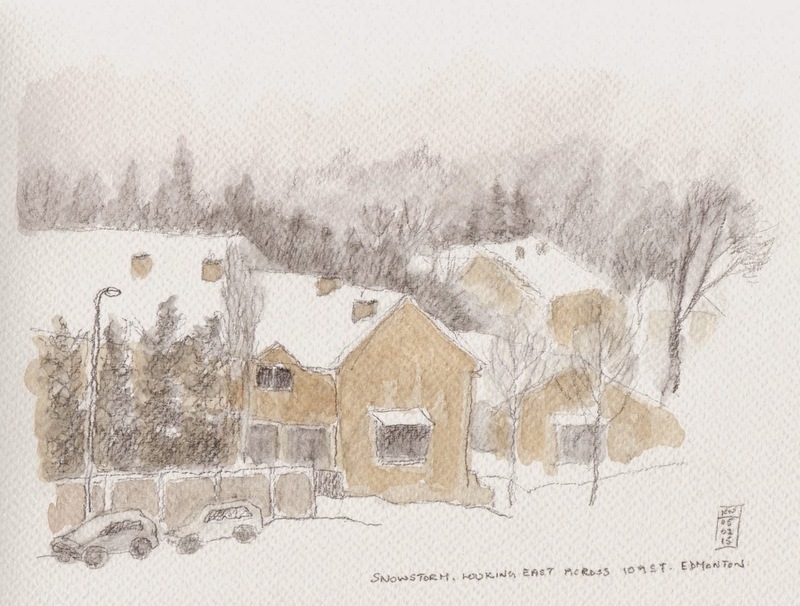 A delay due to a snow storm gave me an extra hour to sketch. What luck! 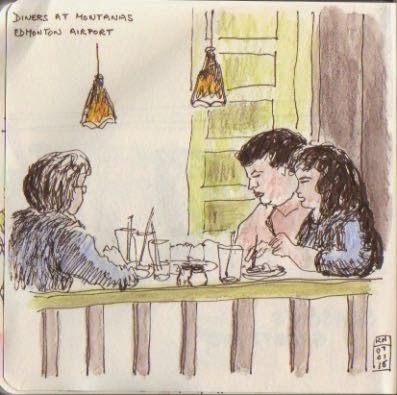 Watching diners at an airport restaurant. 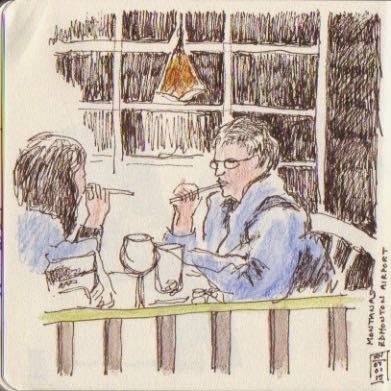 These two ladies were both chewing their straws! People in the Olive Clinic where I spent a whole day attending to immigration medicals. With three Chinese doctors, the all Chinese staff and mostly Chinese patients, the bustling clinic could have been somewhere in Singapore or Hong Kong. The receptionist had a perfect command of English, Cantonese and Mandarin.